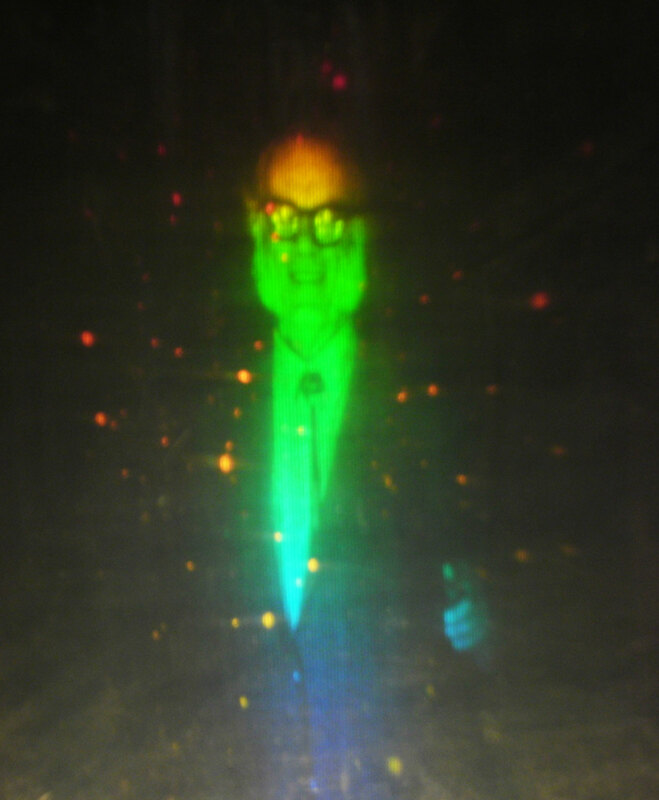 This 60 Degree Integral Hologram image is of Isaac Asimov seen in a field of stars, where the stars are shot in a different color spectrum. 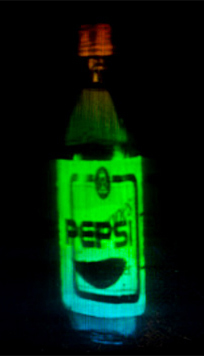 In this type of hologram, the color of the image changes as you move up or down. 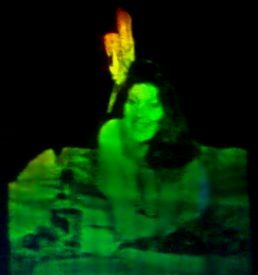 It is the only hologram portrait that legendary science fiction author Isaac Asimov ever posed for. He came in to Holographic Studios where he sat for holographic artist Jason Sapan. 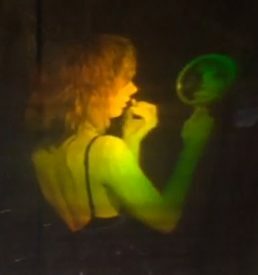 The hologram measures 10″ x 10″ on a transmissive silver halide film and is individually hand made and signed by the artist. It requires rear lighting from below from a clear light bulb with a short single vertical filament. The price is for film only. 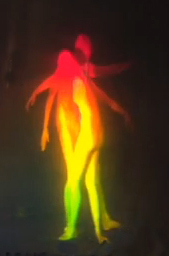 60 Degree Integral Hologram Displays are sold separately in this catalog.